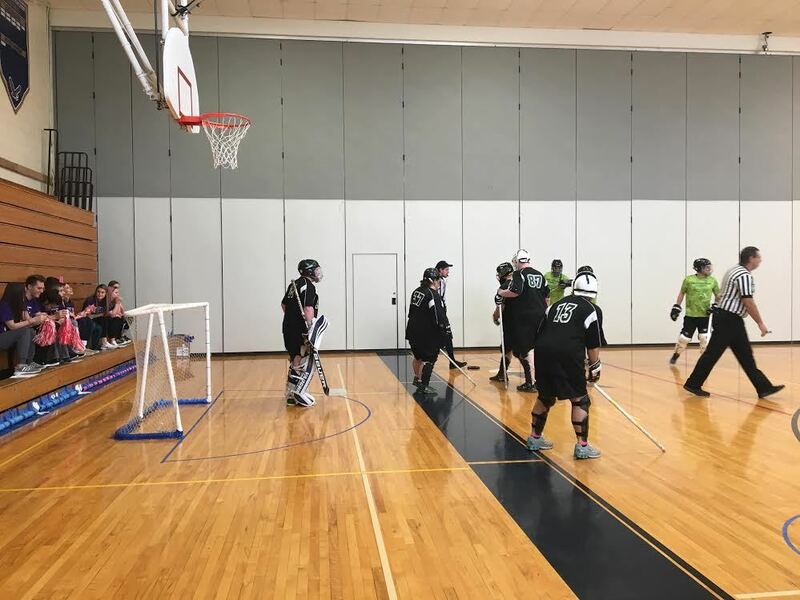 For the last time, Bald Eagle Area High School was host to the Special Olympics Pennsylvania State Floor Hockey Tournament. The school has held the event annually since 1999. Held on March 3-4, the event featured more than 300 athletes from New York and Pennsylvania, more than 500 guest and close to 100 volunteers from the Bald Eagle Area School District, which, without them, the tournament wouldn’t be possible. High school students on the event committee began preparing for the tournament since November and met nearly every week leading up to the event, junior Chelsea Butterworth said. She acts as the assistant event director with classmate Dylan Zink, a senior. Milliron said high school students on the committee first participate in an interview process to be chosen for their roles, and then spend more than two months planning the two-day event. Once in their roles, the volunteers help with setup and takedown, serve lunch, organize games in the Olympic Village, assist athletes at Opening Ceremonies and awards, and more.